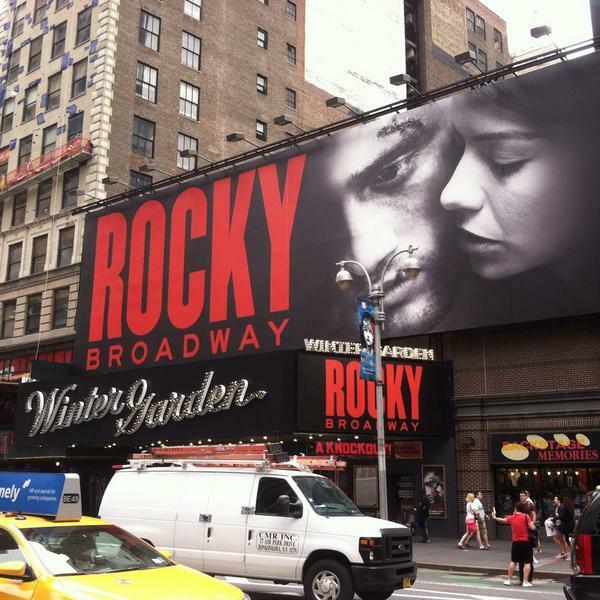 Rocky played its last performance on August 17, 2014. Based on the Oscar-winning film, Rocky follows Rocky Balboa, a boxer from downtown Philadelphia who is given a shot at a championship. As he trains and battles his way to the top, he finds love with a shy young woman named Adrian and sees his dream of fighting Apollo Creed come true. Book written by Thomas Meehan and Sylvester Stallone, music by Lynn Ahrens and Stephen Flaherty, and directed by Alex Timbers. General Rush – Rush tickets are available on the day of the performance (including 8 side front-row tickets) for $35 on Tuesday thru Friday and $45 on Saturday and Sunday. Limit 2 tickets per person.